Unusually strong positive selection over the past 5,000 years, rather than population replacement or even admixture, is responsible for the high frequencies of light skin, hair and eyes among present-day Eastern Europeans, according to a new paper by Wilde et al. at PNAS. To this end we compared the 60 mtDNA HVR1 sequences obtained from our ancient sample to 246 homologous modern sequences (29–31) from the same geographic region and found low genetic differentiation (FST = 0.00551; P = 0.0663) (32). Coalescent simulations based on the mtDNA data, accommodating uncertainty in the ancient sample age, failed to reject population continuity under a wide range of assumed ancestral population size combinations (Fig. 1). Conversely, continuity between early central European farmers and modern Europeans has been rejected in a previous study (33). However, the Eneolithic and Bronze Age sequences presented here are ∼500–2,000 y younger than the early Neolithic and belong to lineages identified both in early farmers and late hunter–gatherers from central Europe (33). Well, either this is indeed a remarkable finding, or something's not quite right. I think it's the latter. The argument for genetic continuity from the Eneolithic/Bronze Age to the present on the Pontic-Caspian steppe based on mtDNA sequences is actually very weak. The results could simply mean that the ancient samples shared deep maternal ancestry with modern Ukrainians and most other Europeans. Indeed, we know for a fact that much of the Pontic-Caspian steppe was occupied by Turkic groups of Asian origin from the early Middle Ages until only a couple of hundred years ago. They were eventually cleared out by Tsarist Russia, and mainly replaced by East Slavic settlers from just northwest of the steppe. This process might not be easy to see by comparing low resolution mtDNA data, even between European populations separated by 5,000 years, but it's likely to be obvious when looking at full mtDNA genomes, high-density genome-wide data, and/or Y-chromosome haplogroups. Surprisingly, the article doesn't mention Keyser et al. 2009, a very important study which showed that a sample of Kurgan nomads from Bronze and Iron Age South Siberia had frequencies of light hair and eyes comparable to those of present-day Northern and Eastern Europeans (see here). Also worth noting is that the most common Y-chromosome haplogroup among these individuals was R1a, which is today the most frequent haplogroup in Eastern Europe, including Ukraine. What this suggests to me is that the Kurgan cultural horizon was not genetically homogeneous. I suspect that Kurgan groups closer to the Balkans carried significantly higher levels of Near Eastern Neolithic farmer ancestry, and were thus much darker than those in the more temperate northerly regions. However, it seems that at some point, the Neolithic farmer DNA was diluted enough by continuous movements of light pigmented groups from the north and east, possibly made up mostly of males, that there was a major shift in pigmentation traits from Near Eastern-like to North European-like across most of Eastern Europe. This scenario actually fits very nicely with the latest on the genetic origins of Europeans (see here). We won't know what really happened until we see at least a few complete ancient genomes from Eastern Europe. But for now, I'd have to suspend my disbelief to accept that present-day Eastern Europeans are, by and large, descendants of these exceedingly brunet prehistoric people of the Pontic-Caspian steppe. "the adoption of an agriculturalist diet"
Isn't the selective pressure said to come from a reduction in meat and/or animal protein in the diet and the need to compensate for that? So shouldn't pastoralists have less of that selective pressure than farmers? Thanks for this paper. Let this be the end of the BS pop replacement discussion. Well I reckon there were population movements within Europe which gave the lightening process some oomph, because, for one, arguing for complete genetic continuity on the Pontic-Caspian steppe simply doesn't work. Yes, I say an elite, highly ane takeover. Not a mass migration. Hmm that map shows allmost all those people (Yamna etc) west, north and east of the black sea had brown eyes but those Bronze Age Siberians in Krasnoyarsk had been mainly blue eyed. Question is, what exactly is a "mass migration" in the stone age? 1000 people? :-D Population sizes must have been very tiny. 50k-100k Saxons on 250K Britons. 100K Franks on 5 Million Gauls. or 100K Lombards on 9 Million Italians. Davidski, I was just doing something similar to your map. I listed each individual, a link to the location of the site they are from, mtDNA reported with coding region mutations and probably subclade when considering HVR1 mutations(there are a bunch of U5a1's), and alleles in SNP's rs12913832, rs16891982, and rs1042602. The samples given the archeological date EBA-Cat2 are only 200-700 or 600-1100 years older than samples from the Andronovo people in Siberia. 8 of the EBA-Cat2 people had A/A in rs12913832, 2 had G/G, and one had A/G. While at the Krasnoyarsk site in Siberia Davidski has on his map 15 have G/G, 5 have AG, and 3 have A/A. Their eye color difference is not because of evolution its because of different ancestry. Where in the world were early Indo Iranian's ancestors during the early bronze age? I thought the Yamna people from around the Volga river would be very light eyed and haired like them but they were not. Three had A/A, two had A/G, and one had G/G. Where in the world does the high amounts of light hair and eyes in northern Europe(since the bronze age at least) come from if the Mesolithic hunter gatherers had the light eyes but not hair, the near eastern farmers didn't have either, and early Indo Europeans didn't had a very small amount? There are so many huge ethnic groups that go back to the bronze age like Celts, Germans, Indo Iranians, Finno-Urgics, and Balto-Slavs who have decent amounts of light hair(at least around 40-50%) and light eyes(all over 50%) there had to of been a population with similar percentages before the bronze age. If true, your theory Chad of continuum and ANE elite doesn't make sense. There had to of been major population replacement for light hair to go from something like 3%(or less) in Stuttgart-like north-west European farmers during to Neolithic to what it is today(over 50%), also Chad how do you explain high amounts of WHG and ANE, guess what you can't. Just wait until genomes from Corded ware and Unetice cultures are published. Compare them to Otzi and Gok4 who lived around the same time, no longer will you be able to say hunter gatherers(who were dark haired and possible dark skinned) were hiding in forests and are the source of the high amount of WHG today. Davidski is this that German study that promised 6 Y DNA samples? It would be awesome I that study was published in a few days or something. Ancient DNA from Yamna who so many experts think were early Indo Europeans would go from almost 0 to probably over 100 mtDNA samples, dozens of pigmentation genes, and 6 Y DNA samples. I think what happened was that the people who did this study realised that most of the results were out of date, but they still wanted to publish something, so this selection paper is what we got. I might be wrong, but I'd say that we won't see any more results from them until they publish a few complete ancient genomes from the steppe. 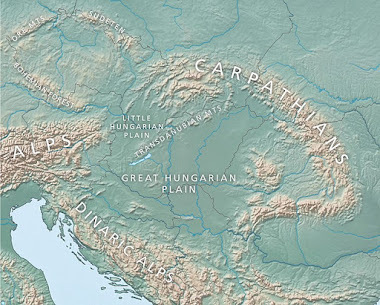 By the way, I don't remember which book this is from, but check out the boundary between the steppe and forest steppe. I think there's a good chance that the Kurgan groups that moved into Asia came from the archeological cultures of the forest steppe, where people might have been much lighter than the Yamnaya and Catacomb samples in this study. The switch from an animal protein HG diet to an equally animal protein pastoralist diet created more selection pressure for light skin than it did for people who switched from an HG to a grain diet. I still think there are other, earlier skin lightening alleles that were replaced by the mid-east ones because the mid-east ones had other advantages like tanning. Fanty, populations were not that tiny. Britain had 250k before indo-Europeans arrived. Barak, it's by selection that it became set. Not by replacement. We've already been over the 5000-3500 nice mixing that didn't leave pure mesolithics left over. The Bronze Age Dane plotting between Finns and native Americans, and not by Lithuanians proves that they are largely ane. Last June I was watching cop related shows on Netflix and found a great documentary named Russia's toughest prisons. Russia has even worse crime than the US and definitely a tougher police force so I choose to watch it. I watched it right after I heard about the dark eyes in Copper age Pontiac steppe people and after a while I noticed nearly every single Russian(whether prisoner or policeman) had black or dark brown hair, brown eyes, and very pale skin. I can only remember one that had lightesh hair(came from Moscow) and it was kind of light brown and only a few who possible had light colored eyes(it was to far away to tell) including the one with lightesh hair. Is that normal for Russians? Statistics I have seen on the internet are not constant with the Russians in the documentary. Finno-Urgic ethnic groups in the Urals are significantly more dark haired and eyes than other northern Europeans. The hair and eye color statistics of Ukrainian Tatars: 8% light hair(4% blonde, 0% red), 20% light eyes(11% blue) are interesting. Does anyone know about the genetics of these people? I am just wondering they could be mainly descended of Early Indo Europeans of the Pontiac steppe. Many of the people in Russian prisons, even in Moscow, are not ethnic Russians. They often come from the less developed, poorer regions of the Russian Federation, like the Caucasus and Central Asia. This is similar to the US in some ways, where African-Americans and Latinos are over represented in prisons. As for Ukrainian Tatars, they're remnants of when the Turko-Mongols and Ottomans ruled the southern parts of what are now Ukraine and Russia. They have a lot of recent Asian ancestry, from Central and West Asia. So they can't be direct descendants of these Kurgan groups. "Is that normal for Russians? Statistics I have seen on the internet are not constant with the Russians in the documentary." I was told (but don't know for sure) that a lot of organized crime is Russia is dominated by people from the Caucasus so if it was a maximum security prison that might make a difference. I am using numbers of 1960s papers estaminations. Possibly outdated today. Something that somewhat agrees to an image like that are the genetic diversity checks of recent years, that suggest that the northern half of Europe shows genetic signals that these populations exploded from very tiny numbers to modern ones in a very short and very recent time frame and that this effect apears extreme in Slavic populations. The effect is much less visible in southern Europe, suggesting that these populations did not grow in a similiar extreme speed. Russia is a huge country with many ethnicities so I knew there was a good chance many of the prisoners(and guards?) were not ethnic Russian or from Europe. Either these ancient Pontiac steppe people were mainly replaced, depigmentated very quickly and when there were already light people(Andronovo), or a mixture of the two. "This is similar to the US in some ways, where African-Americans and Latinos are over represented in prisons. I like how your not afraid to say that, because in America you would be labeled a raciest very quickly especially if you said that publicly. Its the truth though and its all about culture not genetics and poverty(like many people think). The culture is what causes them to commit the crimes and is encouraged and Americans don't realize what bad effects on the country it has. I am not saying destroy the culture but stop people from harming the country and themselves. If we assume that, specially northern Europe, had much lower population than southern Europe, any migration would automatically have a much larger impact there, then in the south. That would mean, if a third party from outside Europe would come to Europe and spread equally over the whole continent, its genetical impact would be stronger in the north because there are much fewer natives. That would somewhat explain higher WHG levels in nothern Europe even in Baraks beloved "WHG genes had been re-introduced to Europe by Indio Europeans and not by original survivors in Europe" theory. "If we assume that, specially northern Europe, had much lower population than southern Europe, any migration would automatically have a much larger impact there, then in the south." Only if the incomers could maintain a higher population density than the natives. The population density in the north was lower for a reason. @Fanty: If we assume that, specially northern Europe, had much lower population than southern Europe, any migration would automatically have a much larger impact there, then in the south. This is actually a really, really good point. Also with lower population density, you can have evolutionary change come faster. Like hyper-specialized "cloudy climate farmers." I agree w/ Grey that I'm slightly confused by Kurgan study, but remember it's just one piece of a bigger jigsaw puzzle (most pieces are missing). Maybe some other groups to west had higher rates of depigmentation by that time and mixed with ancestors of tested Kurgans (Yamna/Catacomb). We are also getting a partial picture by looking only at inland Kurgans and not at settlements on the Black Sea. Like the classical Greek cities that were around the Aegean "like frogs around a pond" - maybe Kurgans were just outer/fringe Black Sea settlements. The Kurgan settlements maybe evolved from hunter-gatherers that were living in a more symbiotic relationship with EEF. Later on they might have acted as guards against hostile HG, but at times might have revolved or tried to get the upper hand. It makes me think of the myth/archetype of the "Igigi": lower rank servants who end up revolting. http://en.wikipedia.org/wiki/Igigi. Probably happened a lot of times in early civilization. Sumerians called themselves "Black Headed People." But were they the originals, or some later group (ANE?) that took over from the (depigmented EEF?) farmers? If the Sumerians called themselves black headed people they could just mean young and strong. There are a few times in the Bible where black hair is used when referring to young people and grey to old people. I doubt there was a people with a high amount of non dark hair who had contact with the Sumerians. Light hair does exist in the near east though and may not have ANE or WHG origin but just near eastern. At some point it may have gone through selection and became more popular in Europeans. I wonder if the kurgan people would be between say, native americans or Mongolians and modern Europeans complexion wise. Probably closer to the former. Just because they are about 40% of the way to modern Europeans, from Asians in the 45a2, but not on the minor two. Is there a modern population mentioned that score in this region? I would bet that Kazakhs are not too far from that range. Well, I guess that Kazakhs would probably not work as they will have the East Asian light allele. Perhaps a Near Eastern or Caucasus population is in this range. Fanty, it was more like 20k Saxons into nearly 1 million Britons in the SE 1/3 of Britain. I don't think this population had a single origin. I'd say the women were mostly of local east Balkan and southern steppe origin, while the males came from somewhere else, and not only looked different, but also had very different Y-DNA from the local males whom they largely replaced. The Andronovo aDNA supports my view IMO. If so, the question is where did these males come from? Was it Hyperborea, as once hypothesized? In that case, where was that exactly? March, 12 "Davidski, I was just doing something similar to your map. I listed each individual, a link to the location of the site they are from, mtDNA reported with coding region mutations and probably subclade when considering HVR1 mutations(there are a bunch of U5a1's), and alleles in SNP's rs12913832, rs16891982, and rs1042602. I am finally finished, I excepted to finish a few days ago but all of my work was deleted twice and decent amounts of it more than twice. Skip most of the paragraphs and go straight to the results, the way I set it up isn't that strange. You should make a Google map with these results, with as much detail as possible, and also include the data of the South Siberian samples. Davidski, who was living in northern europe at this time (say --- southern scandinavia and britain) at this time. Was it a mixed near-eastern/native-european farming population? If so then the men could only have come from as you say the HG refuge - the baltic. I don't think it would be anywhere near as diverse as it is today. Maybe more EEF in the southern folks. I don't think East Asian genes are making an appearance outside of the extreme north at this time. "You should make a Google map with these results, with as much detail as possible, and also include the data of the South Siberian samples." I can't include the south Siberians because I don't have access to the study. This is my only source. Thank you very much for showing me this Google map stuff. I have tried to make maps with ancient DNA before and it never worked, so I copied the format you used with the ancient Pontiac steppe eye color map. It took me a while to find out how it works, but eventually I got it. Google maps is perfect for ancient DNA. EBA-Yam is diamond yellow, EBA-Cat1 is balloon dark blue, EBA-Cat2 is circle light blue, Early ENL is star black, Late ENL is star light grey, and C4a samples from another study is balloon orange. I am sure I have mistakes somewhere, so I am going to check it over a bunch and there probably better ways of presenting. Since there are samples with different archeological dates but in the same archeological site, it is best to click on the list not the map. I can't access the map because it's private. You need to make it publicly accessible. Keyser 2009 is free I had no idea, thank you. I am definitely going to put them in the map, I want to do this with lost of other ancient and modern DNA. Very nice map. It'll make a very useful resource in time if you keep adding results. By the way, you should add a title as well. That last comment was a bit cryptic. What I meant was do early skeletons from Europe show any sign of rickets. Not likely with a high fish diet.. just one tbsp. of cod liver every 3-4 days supplies 100% of the Vitamin D you need. "Not likely with a high fish diet." So without a fish diet you might expect skeletons of dark skinned Europeans to show signs of rickets. Without adequate vitamin D it's possible. But just because you're dark skinned and not getting enough Vitamin D does not guarantee that you will get rickets, otherwise no dark-skinned people could survive in the North, as much as we live indoors nowadays. Has anyone read or heard of this study. The way I found it is I was adding some stuff to my Copper-Bronze age DNA map and tried to find the location of the samples from the Ust-Tartas culture. When I read the Dienekes article about it I realized Jean Manco forgot to add some mtDNA samples from other ancient people from the Baraba steppe. When I actually got the study I very quickly did ctrl-F U5. I found dozens of samples Jean Manco did not put on her site on pages 109-110 of the study.